Let’s face it, books aren’t cheap and they can really hit your pocket if you buy a lot of them. A few years ago I posted some eco-cheap tips about how you could read more, spend less and save the world but given the current financial climate and some extra tips I’ve learned in the three years I’ve been blogging since I decided this didn’t go far enough. 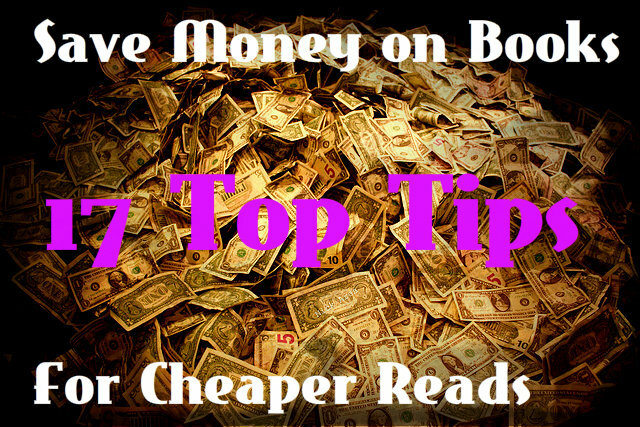 So if you consider books to be luxuries rather than essentials, here are my top money-saving tips for you. I’ve said it before and I’ll say it again- making use of your public, school or university library is probably the easiest way to get hold of the books you want for free. Sign up for a library card and you can rent a selection of books (and DVDs, and CDs) for weeks at a time, just make sure that you renew or return by the due date to avoid fines. My local library has a great community of readers around it and hosts storytelling, author talks and reading groups so it can work wonders for your social life as well. Bonus point of libraries- authors receive a royalty for books loaned through libraries, so even if you aren’t able to support your favourite author by buying their books, you are still supporting them by reading them. At work we have a swap table where you can leave your books when you’ve finished reading them and pick up a new book in exchange. 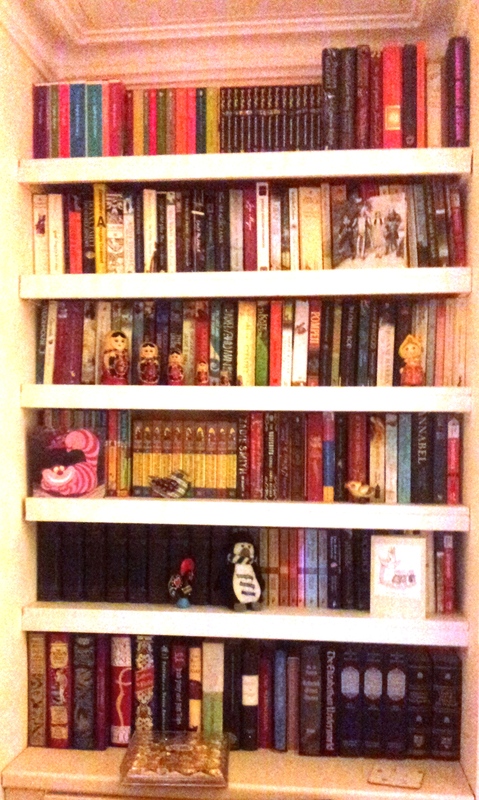 This doesn’t even need to be limited to books. Our table is fairly book dominated because of the nature of the publishing industry, but I’ve also seen CDs, DVDs, cake and in the summer a glut of allotment fruit and vegetables. It has all the benefits of swapping with a friend of family member but with much greater variety, and you can spring clean your bookshelves and know that your unloved paperbacks are going to a good home. If you see a friend reading an interesting looking book, don’t be afraid to ask to borrow it. It’s always nice to see what you’re friends think of a book that you’ve loved (or hated) and it will help you bond over a shared interest. I love lending my friends my books as I know they always pass on something exciting in return. If you aren’t able to set up a swap table in work and your friends aren’t big readers, then there are great websites like BookMooch that allow you to swap with readers all over the world for the cost of postage. Though you do have to be patient while you wait for the book you want to appear, there is an immense sense of satisfaction in hunting down that little gem. It is especially good for classics such as The Great Gatsby or set study texts and you can decide where you’re willing to send the books, though you do get more points if you’re willing to agree to international swaps. If you’re a reader on a budget and you aren’t making use of some kind of wishlist for birthdays and Christmas then you need to start, pronto. My boyfriend always asks for a wishlist for my birthday and Christmas (they’re exactly a fortnight apart and he panics) so I always stick a few books on my list and he’ll pick a selection of them. You still get a surprise because you don’t know what you’re getting, and they have reduced pressure. There are tools for this on Amazon, Play etc. but I find it just as easy to send a polite email or text when someone asks what I would like to receive. If you’re not sure what books you want when a big occasion is coming up, you could also ask very nicely for book tokens. I often give these to readers (my father especially) for Christmas with a stocking filler because I know he’ll get a lot of enjoyment out of a book, but I’m never sure that he hasn’t already read the book I’m picking out for him. As well as clothes that don’t suit or fit me, I take books that I’ve read to my local charity shop to make room for replacements on my shelves. I have pretty regular clear outs (because my boyfriend complains that the house is overrun with books) and not only do I get the exercise benefits of lugging along some pretty weighty tomes on the way there, but I invariably end up finding something I haven’t read but want to. My local charity shops sell paperbacks for about 30p and hardbacks for 50p-£1 so I sometimes end up coming away with more than I’ve left. As with Charity Shops, second hand bookshops are a great place to search for hidden gems surrounded by likeminded people, but be warned, this can become addictive, especially if you start scouring places like Hay-on-Wye for beautiful antique books. This happened to me when I started collecting Wuthering Heights books. It may end up costing you more than you save! If you are searching for a particular book but want to avoid Amazon (for whatever reason, now’s not the time for a soapbox) then Green Metropolis is a great site which allows people to sell their old books for a flat fee of £3.75 and at least 5p from each sale goes to The Woodland Trust so it boosts your eco-credentials at the same time. Green Metropolis also lets you list your old books for sale, and while you’re not going to make a huge profit when the cost of postage is deducted, you can earn a few pennies towards a new book or to cash in for real world money. If you sign up for newsletters from your favourite publishers, they will not only send you information about new releases, but very often special offers and whopping discounts. One of my favourites is the Penguin newsletter which pretty much offers a 25% off discount code every month which I can use to treat myself or buy something nice for other readers in my life. My local bookshop runs a loyalty scheme where I get my card stamped for every ten pounds I spend. Once I fill up my card, I get to pick a new book for free. It is addictive and I do have dreams of one day owning a gold loyalty card. It’s not just indie bookshops who do this (though obviously, it’s good to support them if you can) high street chains like Waterstones have a points based reward system which lets you spend points instead of pennies. If a book is out of copyright (usually 70 years after the death of the author, but it varies depending on international law and publishing history) then you can often find it LEGALLY free through websites like Bibliomania or Google Books. If you want to buy an eBook version of an out of copyright book, then these can often be found for nothing or next to nothing through major online bookshops, though please remember you should only do this with books that are out of copyright. Keep an eye out for special events in the reading character, like world book day or world book night. School children will be given tokens for a free book on world book day, and publishers give away millions of adult’s books for free as part of World Book Night. You can even sign up to spread the joy and hand out copies of your favourite books. Remember the National Book Tokens I was talking about earlier? Well they often run competitions in which you can win tokens to buy whatever book you fancy. Sign up to their newsletter and details will be emailed to you whenever they run a competition. If you follow book blogs, you’ll see that many reviewers will offer giveaways of books they’ve reviewed if they have been given an extra copy by the publisher. I sometimes run such giveaways myself and I occasionally buy books to giveaway for the occasional competition. You’ve got a better chance of winning if you know about the competitions, so keep reading those blogs! As with the discounts, if you follow publishers on twitter or subscribe to their newsletter, you’ll get to hear about the competitions they are running to promote their new releases and will be in with a better chance of winning. If you’re really clever, you might be able to win the Foyle’s book game run by the London bookshop from their Twitter account each Friday, but competition is fierce and the real reward is a well-crafted book pun. Is there anything I’ve missed? What are your tips for saving money on books? This entry was posted in Direct Speech, Uncategorized and tagged books, education, entertainment, family, home, lifestyle, money on November 10, 2013 by Siobhan. As much as I am looking forward to Christmas, once it’s over I miss the sunlight and the spring. I’m preparing for those dark winter months between Christmas and my garden sprouting for another year by preparing some book themed flowers in my house. I know that sounds a little crackers, but it’s all in the name. My flowers will have names which associate them with paper, books, stories… etc. So far we have (sprouting) Amaryllis Novella and Narcissi Paperwhite… ta da! Do you know of any plants with similarly bookish names? I am planning on making my garden a nature reserve but can see potential for extending a similar theme to my borders. William Shakespeare roses for example. I’d be really grateful for any suggestions and am willing to include fruit and veg. This entry was posted in Direct Speech and tagged amaryllis novella, books, gardens, home, lifestyle, nature, paperwhite narcissi, plants, plants with book related names on December 21, 2012 by Siobhan. Yesterday we decorated the Christmas tree. Before heading to Mostly Books, Abingdon, for some late night Christmas shopping and a spot of ginger cake. Then we headed home and had a cup of tea and some Christmas biscuits before wrapping some presents with my little friends. Guinea pigs are better at unwrapping than wrapping. This entry was posted in Direct Speech, Uncategorized and tagged books, Christmas, community, guinea pig, home, presents on December 19, 2012 by Siobhan.